MSC Cruises has celebrated a key advancement in its industry-unprecedented ten-year investment plan with the coin ceremony for MSC Bellissima and the revelation of MSC Grandiosa as the first Meraviglia-Plus ship. Today at STX France, MSC Cruises held the traditional coin ceremony for MSC Bellissima as well as the cutting of the first steel for its first Meraviglia-Plus class ship, representing key building milestones for two of the four new MSC Cruises ships currently and simultaneously under construction. The other two ships, MSC Seaside and MSC Seaview, are currently under construction at FINCANTIERI, Italy. 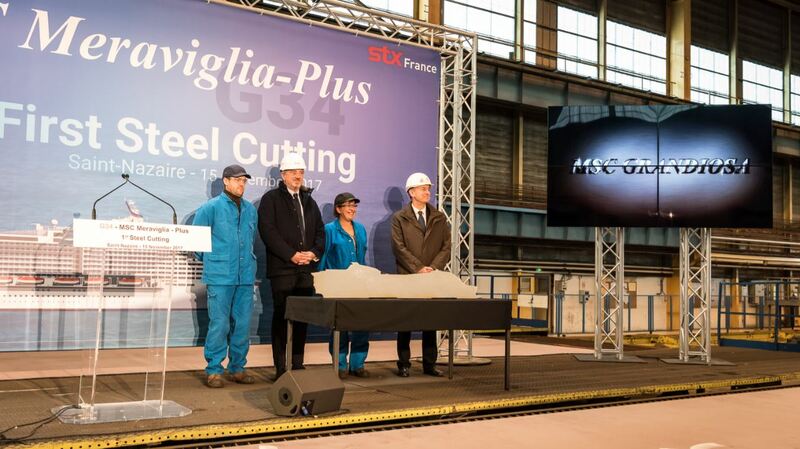 As part of the steel-cutting ceremony, Mr. Vago revealed that the name of the first Meraviglia-Plus ship, will be MSC Grandiosa. MSC Grandiosa will feature some new innovations such as a fine arts museum and Cirque du Soleil at Sea, hosted in the uniquely and custom-built Carousel Lounge. The extensive partnership between MSC Cruises and Cirsue du Soleil will see the world’s leader in artistic entertainment create a total of eight original shows that will be exclusively available on MSC Cruises’ Meraviglia and Meraviglia-plus generation ships. Each of the four ships will feature two brand new contrasting shows, with the first two debuted on MSC Meraviglia earlier this year. The ships will also be at the forefront of environmental technology at sea with the latest hybrid exhaust gas cleaning systems, SCR-Catalysts, state-of-the-art waste managementand recycling capabilities, emission-reducing energy and heat recovery systems, and highly advanced wastewater treatment. The second part of the proceedings was the traditional coin ceremony for MSC Bellissima, where two commemorative coins were placed into one of the ship’s blocks as a sign of blessing and good fortune for the ship and her crew. The two mega-ships — MSC Bellissima and MSC Grandiosa — are due to come into service in March 2019 and November 2019, respectively. 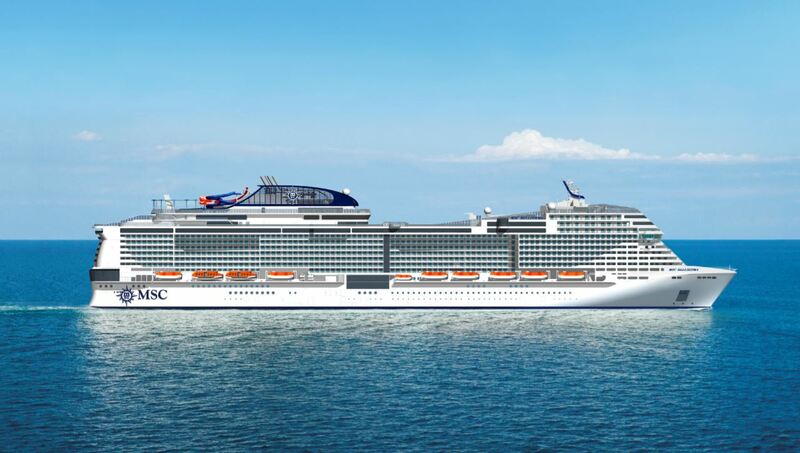 The Meraviglia-Plus ships are a further evolution and enrichment of the highly successful Meraviglia prototype, which includes MSC Meraviglia, launched in June 2017, as well as MSC Bellissima. They feature 181,000 GRT’s, 1,086 ft. in length and maximum capacity of 6,334 guests. The two ships celebrated today are part of MSC Cruises’ existing investment plan, which includes the development of new prototypes for each of the three new classes of ships – the Meraviglia class, Seaside Class and World Class. In June 2017, MSC Cruises launched the first of these new ships, MSC Meraviglia in Le Havre France, and will welcome MSC Seaside to Miami in December. In June 2018, MSC Seaview will join the ultra-modern fleet.